A number of companies are starting to use the Jet Press 720S to transform their ability to print folding cartons in short runs and on demand. Leading inkjet technologies are fast becoming a viable solution for the production of high quality, short run packaging, particularly when combined with “Kanban” ordering and manufacturing principles. Historically, one of the barriers to success in this market has been the fact that prototypes were always inferior to the finished product, and the time lag between the prototype and finished product was often too long. Generally speaking, the quality of digitally printed folding cartons has also been inadequate. In many packaging businesses, there are requirements from a marketing department, for example, for small quantities of 50 prototypes, and at the other end of the scale, there are requirements for runs of one million. Both are possible with the Jet Press 720S, as even with the larger quantity, you can split the quantity per month, per week or per day according to the customer’s requirements. The main point is the quality, which has to be high. Already a popular press throughout Europe for commercial print applications, the Jet Press 720S can be configured to take folding carton board by using a modified vacuum jacket and higher vacuum pressure around the drum. This allows the press to accommodate a more diverse range of heavier carton boards commonly used in packaging applications. 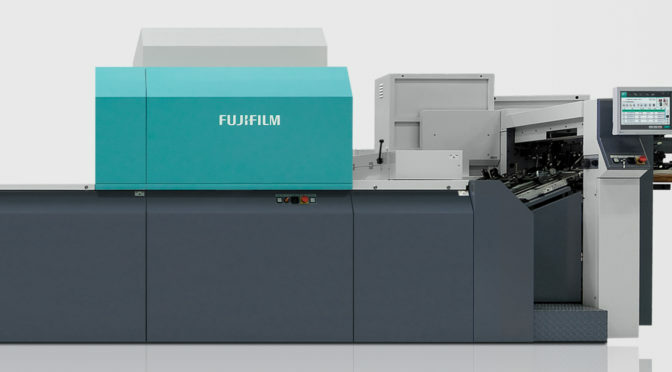 The Jet Press 720S allows packaging companies to profitably and efficiently provide packaging of the highest quality within extremely tight deadlines, as well as producing samples and prototypes which exactly match the finished product as they can be printed on the same press on the same media.